This Blog has been written by subscriber Jane of Sandringham. This includes shadow play which enjoys a time-honoured history which can be traced back to the Han Dynasty 2,000 years ago. 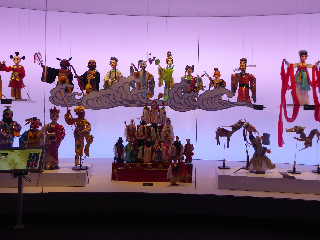 As early as in the 13th century, China’s shadow play was introduced to Persia, Arab, Turkey or Siam. Semi-transparent leather is engraved into various figures and then painted with patterns and colours. When the light passes through the leather, colourful and vivid figures, flowers, birds and buildings are reflected onto the curtain. 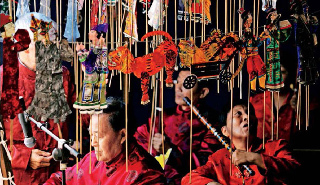 Artists control the leather figure skilfully behind the scenes (as shows in today’s hero image from the Confucius magazine), accompanied by songs or musical instrument performance to reflect rich folklores and fairy tales. 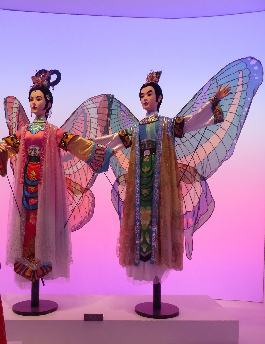 Though with a unified name, shadow play is different in operatic vocal music and modeling across China where Shaanxi, Sichuan, Peking, Tangshan, Northern Sichuan or Chenlong enjoy unique flavors and characters. 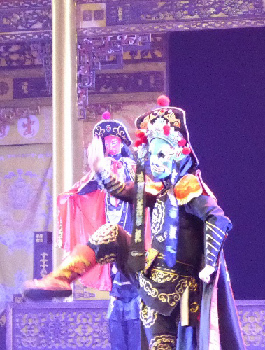 One such adaptation is Bian Lian literally: Face-Changing an ancient Chinese dramatic art that is often part of Sichuan opera. 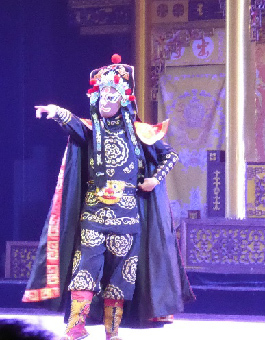 Performers wear bright costumes and vivid masks, typically depicting well known characters from the opera, which they change from one face to another almost instantaneously with the swipe of a fan, a movement of the head, or wave of the hand. 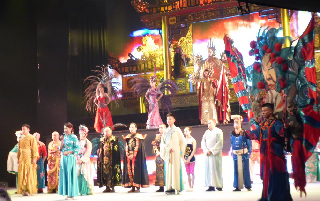 Historically, Bian Lian had rarely been seen outside of China because non-Chinese were not permitted to learn the art form, but since the mid-2000s it has been performed occasionally in international mass media and at Chinese themed events. The secret of the face change has been passed down from one generation to the next within families. Traditionally only males were permitted to learn Bian Lian, the theory being that women do not stay within the family and would marry out, increasing the risk the secret would be passed to another family. To fully appreciate the slight of hand, here is a short youtube clip. Thank you J of Sandringham. We love getting your contribution to the Art Blog and look forward to seeing many more entries from your hand. While I'm doing my research on our next topic I thought I would extend our scope into music as I know several of my subscribers have a great love of this artistic form.